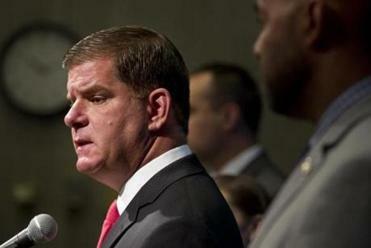 Mayor Martin J. Walsh’s clenched-jaw press conference on Monday rebuffing the United States Olympic Committee’s demand for a taxpayer guarantee behind the city’s bid for the 2024 Summer Games has been met as a potentially terminal wound in an effort that began hemorrhaging long ago. But if Walsh’s rebuke was the most glaring, people close to the proposal say its pitfalls have long been readily apparent — in part, because the effort’s organizers have had so many constituencies to satisfy, and never a firm handle on the scope of that task. Boston 2024 has had to satisfy the International Olympic Committee, whose vision is different from Dorchester’s, which in turn does not match what Roxbury or South Boston or New Bedford has in mind. For the bid to survive, Governor Charlie Baker’s political checklist needed to be met, and Walsh’s tended with special attentiveness, considering how much political capital he has expended to support the proposal. The interests of those elected executives haven’t necessarily matched those of state lawmakers, who have jealously battled for more control, to say nothing of the congressional delegation, which would be instrumental in wresting any federal dollars in Washington. The tumultuous effort was racked by acrimonious debate, public relations blunders, and limited public support. And that was before even getting to the state’s voters, who were promised a say at the ballot sometime next year. The dire political problems that have faced Boston 2024, the organizing committee behind the effort to bring the Summer Games here, have been rooted largely in the difficulties of satisfying a vast coalition of constituencies and voting pools, many of them with divergent if not directly conflicting interests. Understanding the voting population is a bedrock starting point for any political effort, be it a legislative initiative that must convince a relatively small number of lawmakers, or a presidential campaign that must attract scores of millions of voters. To do so, modern campaigns spend massive amounts of money on data analytics and a range of ever-evolving technological advances. But that challenge increases when the voter pool is so highly segmented and focused on a variety of priorities. “It is different than a political race because everybody has a different perspective,” Steve Pagliuca, chairman of Boston 2024, said earlier this month. Organized opposition to the Olympics has even fostered a united “wraparound coalition” of the right and left: Antitax activists, whose ballot referendum succeeded last year, have united with followers of Evan Falchuk, a left-leaning, third-party gubernatorial candidate who garnered 3 percent of the vote. All of this has played out on a tight timetable. The United States Olympic Committee repeatedly said it wanted the Boston bid to be polling above 50 percent statewide before deciding in September whether to submit it for consideration by the International Olympic Committee. If it received the USOC’s approval in September, the next step would be a political style campaign aimed at a ballot initiative. That could be held concurrently with the presidential election in November 2016 or earlier in the year. Any local debate over the Olympics would feature organizers and opponents fighting it out over financing plans, infrastructure projects, and individual proposals in various neighborhoods. A WBUR survey released earlier this month pegged support at 42 percent, little changed from a month prior. That poll followed the June 29 release of the revised bid, itself a confection of answers to concerns raised by groups organized from the neighborhood level to the USOC. 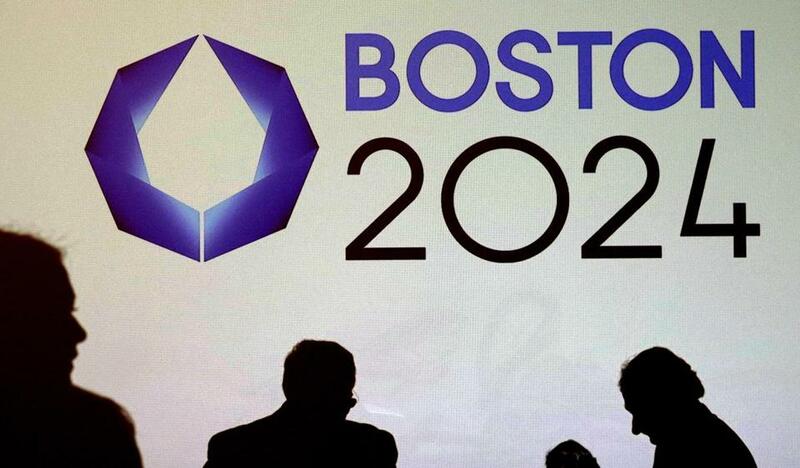 The USOC seemed to grant Boston 2024 something of a stay of execution at the end of June, when national officials met privately in Boston with local organizers and offered encouraging words. But, while the USOC is positioned as the bid’s potential executioner, those choosing whether to send it to the gallows are closer to home. The numerical polling benchmark is only the most visible, easily tracked hurdle for the bid. More quietly, behind closed doors in boardrooms and in corridors of government from Boston to Washington, proponents have worked to persuade a long roster of powerbrokers to either stick by the bid or drop their reluctance. There are the business owners at Widett Circle, planned site for the Olympic stadium and a new Boston neighborhood, and the would-be developers there who could be enticed with tax credits; the myriad community groups in Boston who want their own neighborhoods looked after; the communities across the state, frustrated by the Boston-centric benefits of the Big Dig, who have vowed that the next time such largesse visits the state, it will be spread more evenly. It was always known that if Walsh’s steadfast support for the bid were to dissipate, for instance, or if Baker’s more calculated distance from it could not be bridged, the organizers’ already difficult climb would grow markedly steeper, if not insurmountable. A February trip by the local organizers to Washington for a meeting with the state’s congressional delegation illustrated how reaching different audiences demands different pitches. People in the meeting said the Boston 2024 presentation lacked sufficient national context, seeming more like a case the committee would lay out for a local group. “It was definitely a low-tech presentation and, yes, I think there were several [congressional] members who were very cautious about what Boston 2024 might expect in terms of federal funding,” said US Representative Stephen F. Lynch, a South Boston Democrat, in a telephone interview earlier this month. Lynch describes himself as a fan of the Olympics who is hopeful the Boston bid wins but only if questions about financing and infrastructure are resolved satisfactorily. “It was surprising, I think, how much ‘rah-rah, yea Boston’ was in the meeting, and nothing else,” said another attendee, who spoke on condition of anonymity to discuss a closed-door meeting. The Boston group’s cause was not helped when USOC officials plainly stated that traditional Olympic funding arrangements rely on financial assistance from central governments. People who have worked on the Olympics effort say that trying to right what’s often been a slumping cause has frequently led to problems with other stakeholders. The cumulative effect has been the sense among some in favor of the effort that they are chasing a constantly moving target. Lynch, for one, thinks that getting the broadest audience, “just taxpayers and citizens of the Commonwealth,” on board would begin unlocking some of the other, farther-flung constituencies. And, then, the minds and hearts beyond that.